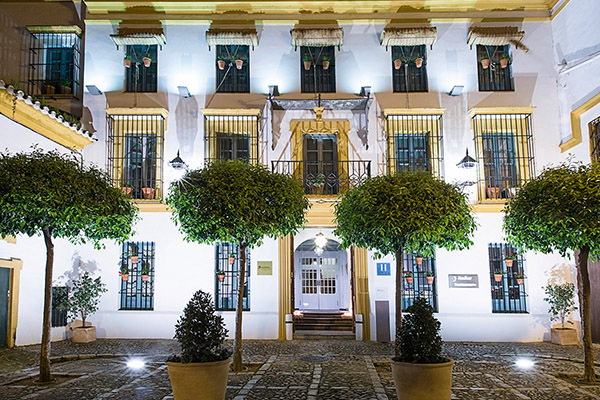 Located in the heart of the Seville’s historic center, Hospes las Casas del Rey de Baeza immerses the guest in an inspirational bath. This beautiful architectural settlement, typical from Seville, was initially a neighbourhood patio in the 18th Century. 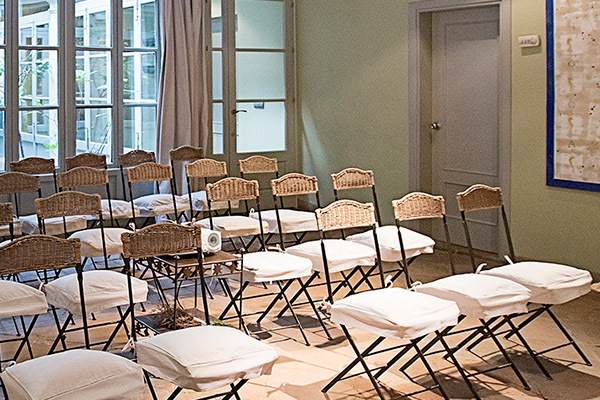 Today it is the perfect place for guests of Hospes Hotel in Seville to find calmness. 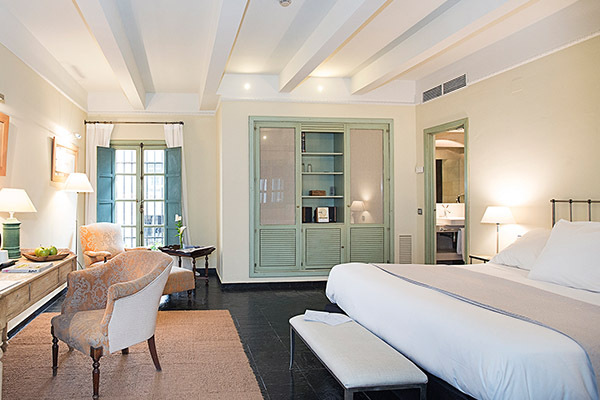 Our exclusive luxury hotel in the heart of Seville, offers a very personalized attention that can be seen in its visitors through their well-being emotion. 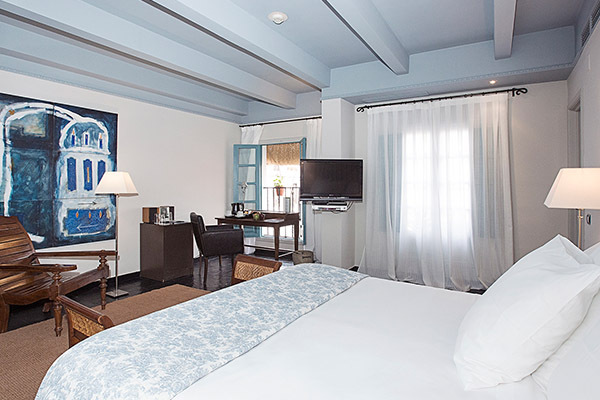 With unique services, such as its Chill-Out terrace with views to the Giralda, the Rooftop with exterior pool and hammocks and its Relaxation center and Bodyna with 4 treatment booths. 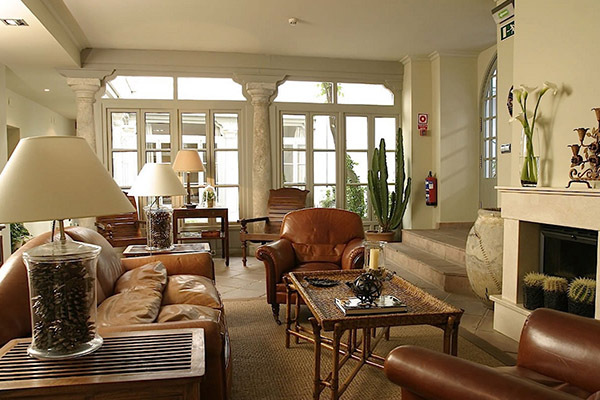 Its 41 rooms allow the guest to discover corners with columns, pottery and more decoration of other eras, in combination with a colonial style furniture. Also, in the Azahar Restaurant, space reserved for gastronomy and the recovery of the traditional flavours of Andalusia and the city of Seville, it is decorated with noble materials, primarily wood and leather. 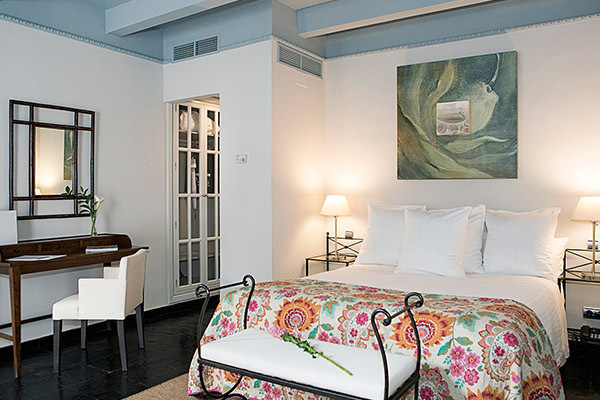 In its Bodyna you can admire the fusion of the oriental and occidental cultures. 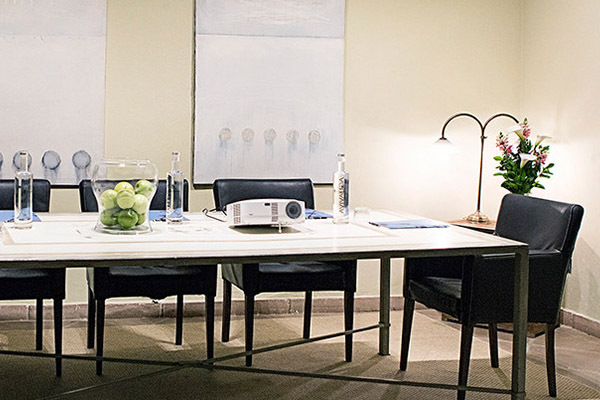 The hotel embodies hospitality, history, beauty and culture of the city that welcomes it in the benefit of guests that transform these values in very personal life experiences. Inside, contrasts and emotions are very present. The colours and aromas of the central patio recall happiness and activity. The stone, the clay and the slate, noble materials of construction, stamp with autenticity this highly valued building, architecturally and historically. The views from the pool, on the rooftop, offer tranquility. The flavours and aromas of the native cuisine, with light and simple dishes that incite discovery. The sound of the water in the orange patio fountain… Al these elements make of this hotel a real and authentic scene of the life in Seville. In Hospes las Casas del Rey de Baeza Hotel gastronomic experiences are possible thanks to the Azahar Restaurant, where you can taste the roots of the andalusian cuisine with a modern and surprising style, enjoying the delicious tapas in the fantastic patios of Hospes Las Casas del Rey de Baeza, completing the scene with this andalusian flavour that we are known for. This is the idea: taste a refreshing and tempting tapas menu, salads, sandwiches and soft drinks, with the historic center of Seville only yards away, where you can enjoy the pool located in a unique rooftop. Delight your senses with the sunset covering the Giralda and expand it with a well-being feeling at the chill-out area.